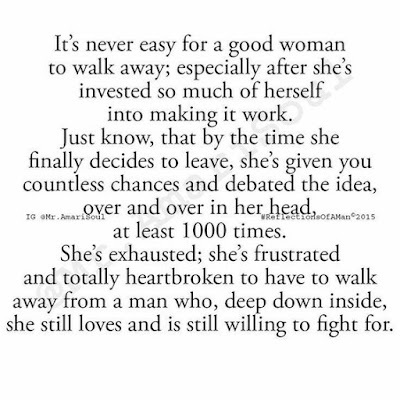 It's never easy for a good woman to walk away; especially after she's invested so much of herself into making it work. Just know, that by the time she finally decides to leave, she's give you countless chances and debated the idea, over and over in her head, at least 1000 times. 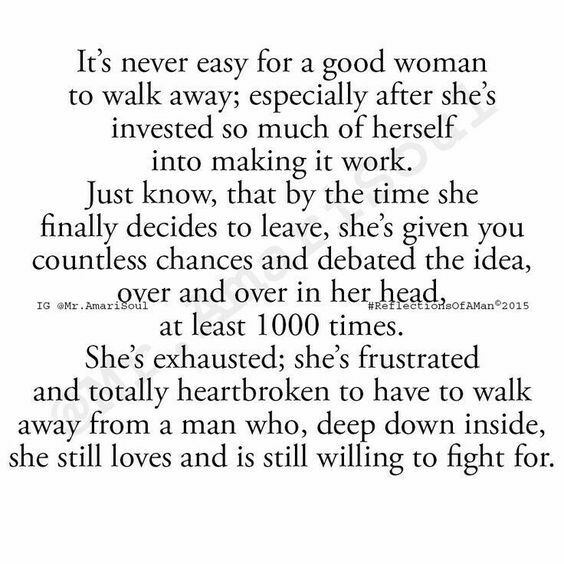 She's exhausted; she's frustrated and totally heartbroken to have to walk away from a man who, deep down inside, she still loves and is still willing to fight for.